The all new Meridian saltwater rods build on Scott's award winning ReAct technology to bring you a series of saltwater rods that are remarkably light, and generate exceptional line speed and power. 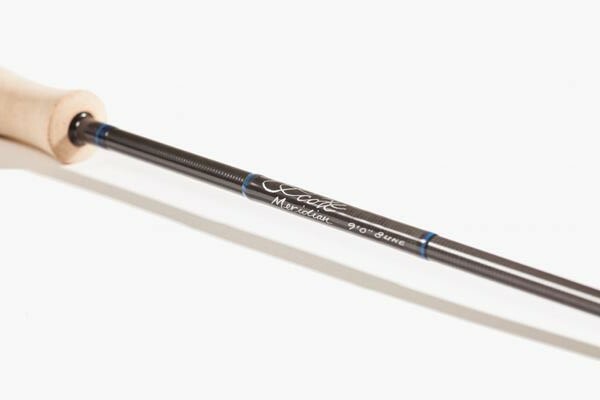 Using increased recovery speed rather than stiffness to more efficiently transfer energy, Meridian rods help you quickly make accurate casts at any distance in demanding saltwater conditions. You ll be amazed at how fast you can get the fly from your hand to the fish. REACT - Brings together X-Core with a new complex materials and taper system to dramatically increase recovery speed. X-CORE TECHNOLOGY - Enhanced feel, incredible stability, and unequalled performance. X-Core combines the industry s most advanced composite technologies with cutting-edge design. MIL-SPEC III - Anodized reel seats and Ti titanium guides offer the highest levels of corrosion resistance.